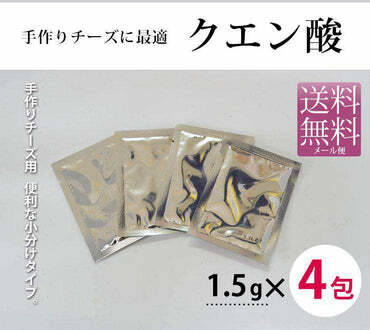 Even beginners do not fail, Kawashimaya's fine qualityRennetAlso recommended. It is a vegetable rennet made in Turkey where cheese making in home is thriving. Renet of Kawashimaya was introduced to "Nomura Weekly" published by Nomura Securities. 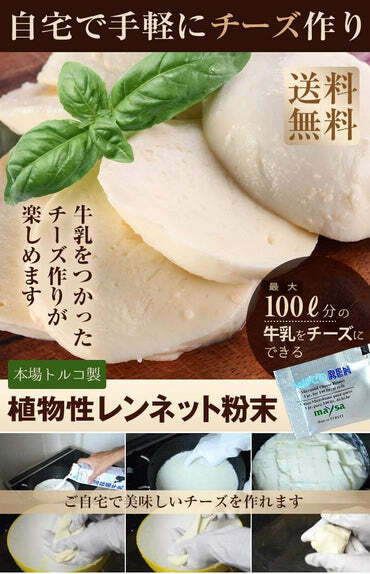 ◆ Content ◆ Food that you can easily make "home-made" food I am selling 'vegetable rennet' which can make cheese at home, Mail order site of food and general merchandise, "Kawashimaya". Rennet is an enzyme agent used to solidify milk when making cheese, Originally it is extracted from the calf stomach, so the ingredients are animal. 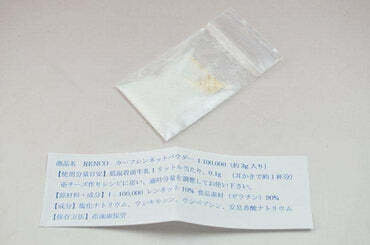 However, the product is vegetable as it is made from meconium (a type of mold) and salt only, Recommended for vegetarians. Up to 100 liters of milk can be cheese with 1 g of rennet, Mozzarella cheese and cream cheese are also available. Because a manual of how to make it is enclosed, it is safe even for people who are cheese making for the first time.